New Semester starts from May 6th, 2019!! New Semester starts from May 6th, 2019.
we have both career program and individual courses to accommodate your needs. 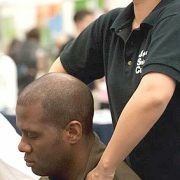 Get your diploma in 1 year and start new career as a Shiatsu therapist. 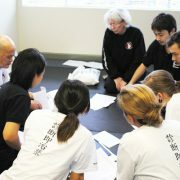 Learn Japanese Traditional Shiatsu in 8 weeks and upgrade your skills. Or start Shiatsu journey with our shortest course(3.5 weeks). Please check the detail from our curriculum page. 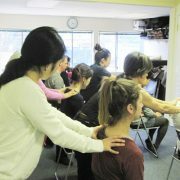 http://www.shiatsuvancouver.ca/wp-content/uploads/2017/08/photo-10-1.jpg 400 600 Canadian College of Shiatsu Therapy http://www.shiatsuvancouver.ca/wp-content/uploads/2017/08/logo-en-1.png Canadian College of Shiatsu Therapy2019-01-31 19:56:492019-01-31 19:56:49New Semester starts from May 6th, 2019!! New Semester starts from January 7th, 2019. We are going to join Powell Street Festival on August 4 & 5, 2018. Powell Street Festival is an annual celebration of Japanese Canadian arts, culture and heritage. It is the largest event of its kind in Canada and the longest running community arts festival in the Lower Mainland. There will be dance, music, martial arts demos, craft vendors, traditional displays, and of course, tons of scrumptious Japanese food. 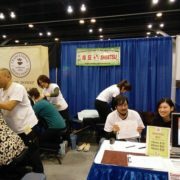 Please visit our booth and try Japanese traditional Shiatsu!! For more information, please visit Powell Street Festival. 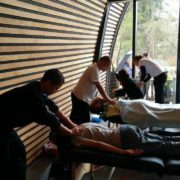 Do you wand to start a new career in Shiatsu? Do you want to upgrade your existing skills? Do you want to know small tips to release a stiff neck and shoulder for yourself or for your family? We offer both career program and individual courses to accommodate your needs. Next Diploma Program and Certificate courses start from September 4th, 2018. We are going to join Sakura Day Japan Fair on April 14 & 15, 2018. Sakura Days Japan Fair is a unique Japanese-Canadian festival event which you can experience modern and traditional Japanese cultural arts, cuisine and business. For more information and ticket purchase, please visit Sakura Days Japan Fair. Next Diploma Program and Certificate courses start from May 7th, 2018. We offer both career program and individual courses. Do you want to learn a manual skill? Are you a manual therapist who want to have an add-on?